Kids stuff, it seems to be ever expanding and always multiplying; brightly coloured plastic blocks, dolls or action figures, soft toys, games consoles. The list seems never-ending. It also tends to end up everywhere around the home, no matter how much storage you install. While the temptation to toss it back into the kid’s room and close the door is (sometimes overwhelmingly) strong, is there a better solution? 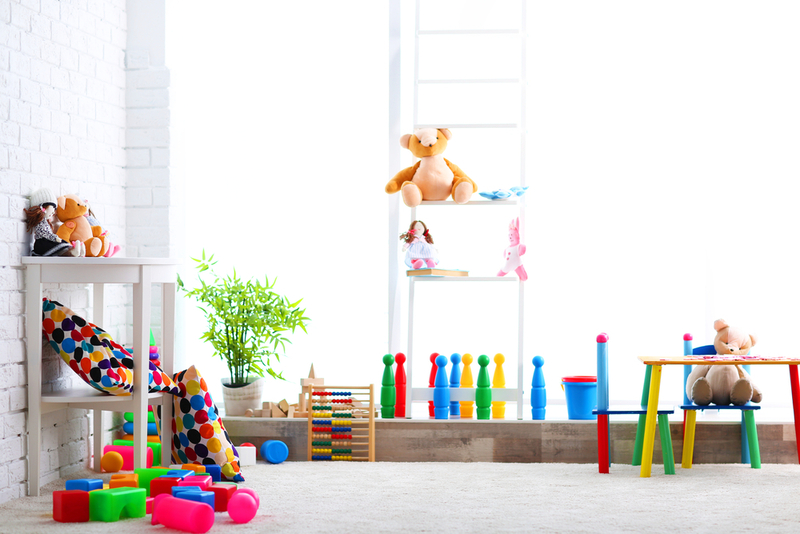 Turning a spare area or part of the kid’s room into a playroom or games area with some fun, exciting methods of storage could help encourage your little ones to make less mess. From dressing up storage boxes to make them more exciting to putting their favourite toys out on display. Choosing a theme for the area that excites your children can also encourage them to keep their toys in the area-you may even find it difficult to pull them away! Kids love bright colours and comfort, so making a visually pleasing area of their own that they can settle into will be sure to delight. Skip over neutral colours or white-washes and go bright and bold with primary colours of blue, red and yellow. If you aren’t able to paint the walls, add some soft furnishings and rugs that pop. Choose some brightly coloured storage boxes or pop-up toy baskets to encourage a clean space. 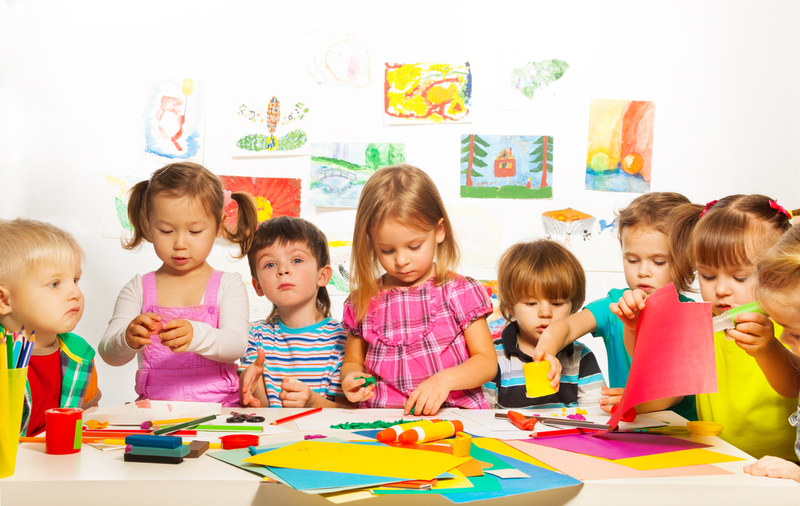 If your child is an aspiring artist, there is the option for chalkboard paint or whiteboard paint. Apply to an entire wall, select panels or even coat a piece of furniture, your child will have great fun decorating their own space. They can even wipe it off and start afresh! Complement the area with some brightly coloured storage containers attached to the wall to store their drawing materials. If you go for a traditional artist’s corner, tape down some plastic sheeting before setting up the desk on-top. Any messes can be easily wiped up or you can take the “floor protector” out into the garden for a quick hose down. Don’t forget to leave a wall bare so they can hang up their finished masterpieces! Should you have an inquisitive child who loves to know more about the world, dinosaurs, science – whatever their interest may be- set up their own display area, complete with books, models and educational toys. You can make the area like a mini-museum with notecards made by your child giving information on each of the displays. Perfect for budding scientists or geologists. Ditch the drawers in favour of open storage units or box shelves look really effective too. Does your child have a fascination for pirates or maybe they love to pretend they are a knight, roaming across the land? Incite their excitement for fairy-tales through creative building in the play-room. Bring the outside in with ship-shaped playhouses compact enough to fit inside or turn the area into a woodland fantasy, complete with artificial grass flooring and fairy swing. Not only does artificial grass look and feel great to kids, it’s an easy-to-maintain alternative to carpet. Wipe up messes with ease and never worry about threadbare rugs again – find out more here. Adults and children alike need areas to chill out and relax in, adding a sensory room or area to your home is the perfect option. Visual stimulants like lava lamps, Christmas lights or bubble lights are great for invoking calm and can be watched for hours. Install some speakers (away from small fingers) where you can play some calming music or white-noise. In addition to adding different materials that are motivating to touch, from plush and fluffy fabrics to textured ribbons and beaded ropes. You know your child better than anyone and depending on their age, this can even be a project you carry out together. Get the kids involved and help them create their ultimate go-to space.